One dozen red roses are just the perfect gift for the one you love, the one you can turn to, the one who loves you above all else and knows your heart inside out. Roses are the perfect romantic flowers or for any day you want to celebrate your love. 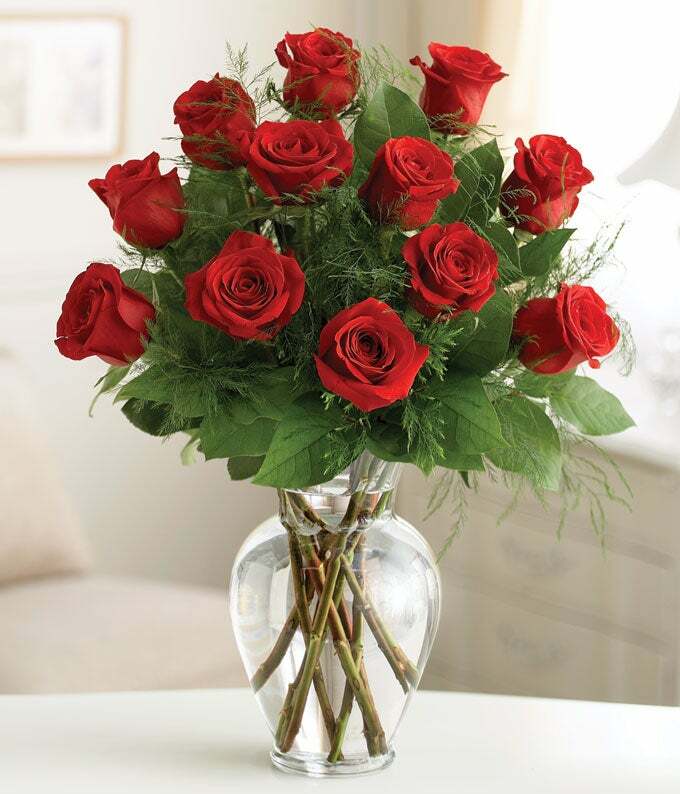 Give the ultimate expression of romance with this stunning, hand-crafted arrangement of long-stem red roses. Vase measures 11"H.